Looking for versatility in your canopy? The Super Max Fire Rated canopy enclosure kit delivers more options to turn your canopy into a functional, low cost enclosed seasonal shelter in minutes. The easy to install enclosure kit includes two side walls, one fitted back panel and one double zipper front door. Made of Fire Rated polyethylene fabric which is heat sealed not stitched for strong bond and 100% waterproof. The ShelterLogic 10 pi x 20 pi Canopy Extension Sidewall kit is the quick and affordable solution for special events and seasonal protection. 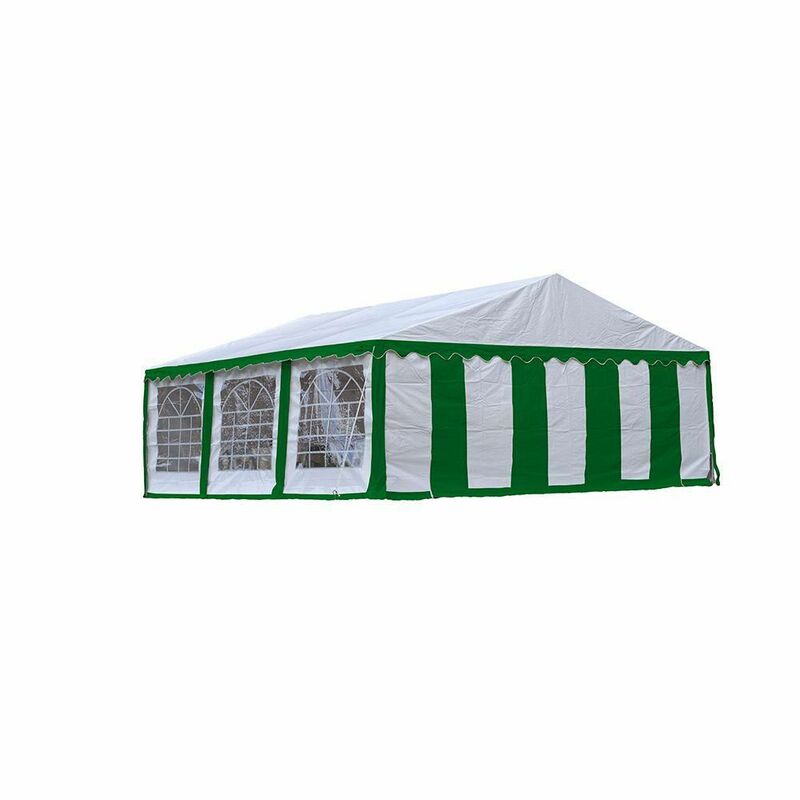 Quickly convert any 20 pi long canopy to a fully covered event tent, single or double wall wind break in minutes. Comes ready to install out of the box with steel tent poles and tie downs. Expands coverage are by 280 square feet of protection.